Where the Mediterranean Sea and the river Acisu encounter, Gloria Hotels & Resorts inspire with their Five-Star Resorts in the sun-blessed and whole year destination Belek at the Turkish Riviera, which is only 30 kilometers away from Antalya airport. 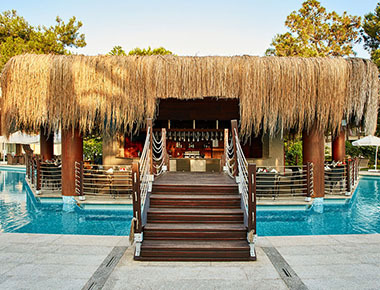 “Unforgettable diversity, elegance and geniality” is the motto of the Gloria Hotels & Resorts, which comprises the facilities Gloria Golf Resort, Gloria Serenity Resort, Gloria Verde Resort, Gloria Villas and Gloria Golf Club. All sites are connected via a wonderful trail full of beautiful plants and trees tothe beach. 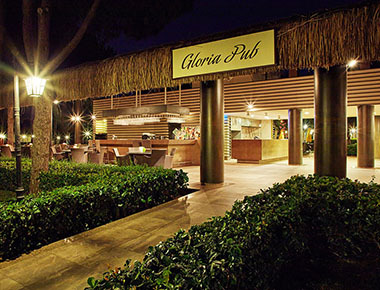 Gloria Golf Resort lies directly on the 500 meter long sandy beach, emerging from the concourse of the river Acisu and the Mediterranean Sea. 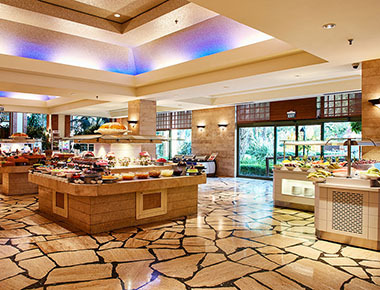 It offers a total of 515 rooms and is ideal for families, who want to enjoy all the amenities of the hotel group. Key card system, hairdryer, direct dial telephone, telephone in the bathroom, plasma satellite TV with pay TV channels (with charge) and interactive system, WC, central air conditioning system (heating & cooling), room service (24hrs. ), minibar, safe (free of charge), balcony/terrace, wireless Internet access (free). Live special moments in a home-like comfort. Enjoy your All-Inclusive holiday, in the cosiness of home and surrounded by nature. 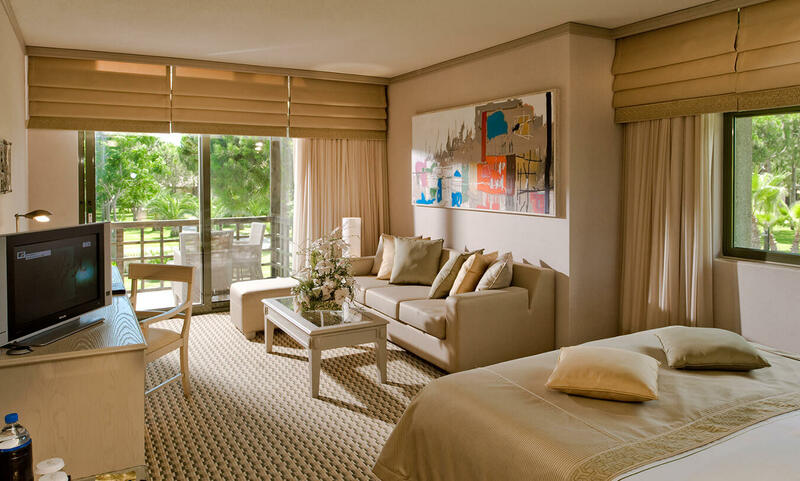 Enjoy your holiday in a suite with a garden or sea view, where every detail has been considered. The King Suite: where every detail for an extraordinary holiday is considered. Garden and pool view, spacious interiors, terrace or balcony. 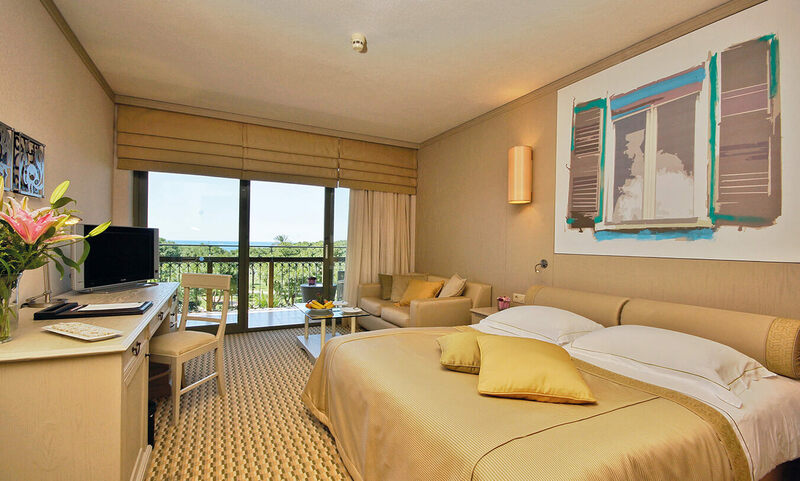 Enjoy a family holiday in a spacious Family Suite overlooking the garden or the pool. 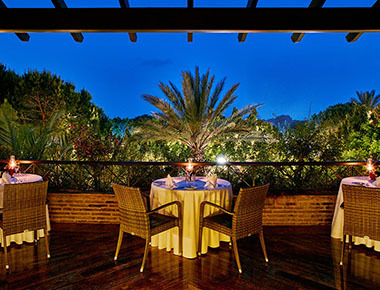 Enjoy the lush green nature of the Mediterranean from garden rooms and rooms in the main building. 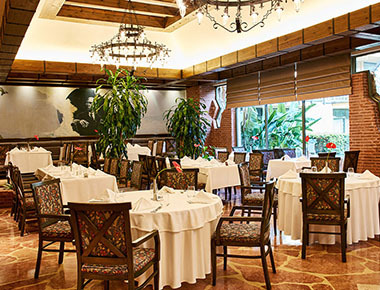 Main restaurant, A la Carte, Cafe&Bar, Patisserie Discover the most exquisite tastes of the world cuisine at the restaurants of Gloria Hotels & Resorts. Experience the special flavours of Turkish and world cuisine with a different theme every evening at Anatolia Main Restaurant. 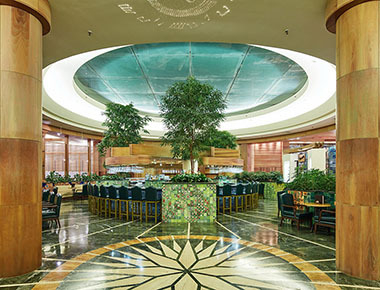 Discover the flavours and special themes each evening at the striking Mosaique Main Restaurant, with its unique exterior and interior designs.. 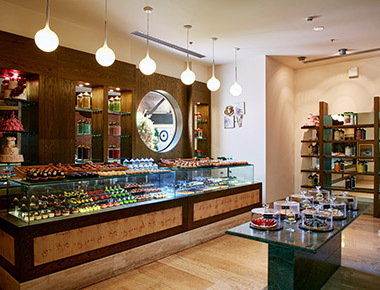 Enjoy mini getaways with freshly baked cake, cookies and macarons! Italian cuisine’s most exciting flavours greet our guests with distinctive presentations in a stylish atmosphere at L'Ancora À La Carte Restaurant..
Pescado À La Carte Restaurant, offering the most delicious products from the Spanish culinary tradition, promises a delightful evening in a unique atmosphere.. 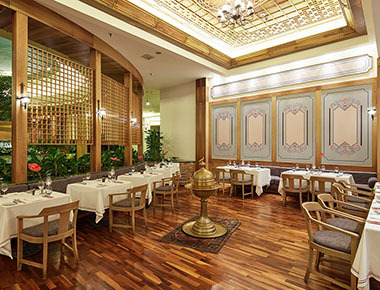 Featuring Ottoman-inspired design, the Harem Restaurant offers a rich menu of unique tastes from world cuisine. Enjoy delicious dishes surrounded by the green of Gloria Golf Resort and accompanied by a river view..
At the Galeon Restaurant, savour flavourful seafood and meats prepared especially for you by master chefs.. 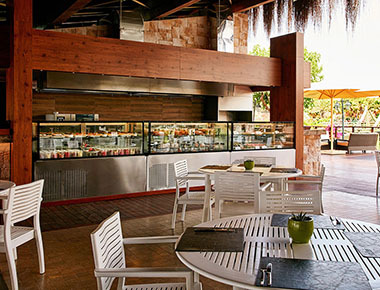 Enjoy cool moments at the Garden Pool Restaurant & Bar, located in the centre of the pool. 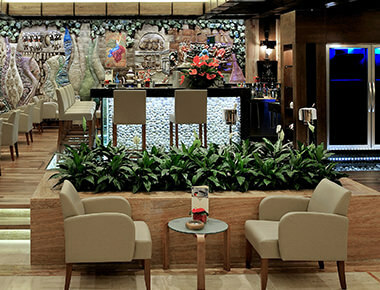 Cocktails or hot drinks: Just choose, and experience one of the most enjoyable moments of your holiday.. 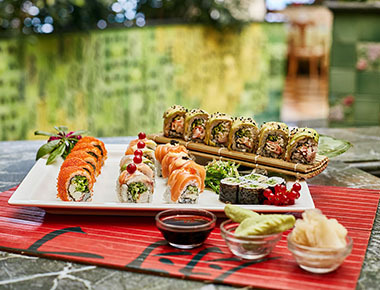 Experience the unique flavours of the Far East with an outstanding sushi menu at the Sushi Bar..
Live music, daily newspapers, a welcome cocktail and a bar - and more. 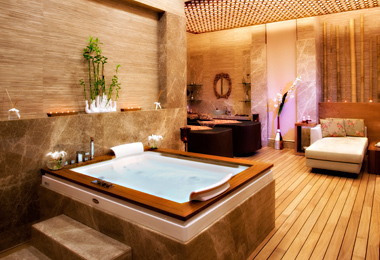 La Source Spa is known throughout the world for setting new standards in spa luxury and trends. You'll enjoy the sounds of the nature, or the music of your choice as you enjoy La Source Spa services, Turkish and Finnish Baths, a sauna, private hairdresser, and massage rooms that boasts the ultimate in comfort and serenity. It only takes one treatment to see why La Source Spa is the spa of choice around the world. *Sauna, Turkish bath and steam room are not suitable for guest under 16 years of age and therefore may not enter. An Indonesian massage that targets your deep tissues and ligaments. Your body will experience deep healing and increased flexibility. A traditional Japanese treatment method known for its ability to balance and restore the immune system. Shiatsu can be performed in comfortable clothing and will release the natural energy in your body. A unique Eastern massage that is applied with tiger-striped lava shells and moisturizing body oils. Lava Shell Massage treats tension points in your body, relieves pain and establishes balance between your body and mind. A pleasant massage that incorporates aromatherapy. 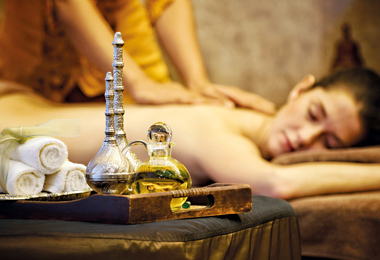 Aromatherapy massage is especially effective at restoring overall health while encouraging deep relaxation. An exotic and relaxing massage made famous in Hawai'i. Deep, rhythmic strokes gradually loll the muscles and body into a state of deep relaxation. The most important brands of the world such as Ericson, CACI and Bernards Cassier are featured at La Source Spa. 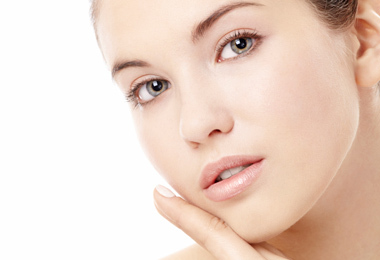 A variety of facials are available, each of which will leave your skin tingling, moistened and glistening. A natural facial treatment that helps reduce fine lines, wrinkles and other signs of aging with the application of red fruits. Known for their high level of Vitamin C, red fruits restore the skin's elasticity and relax facial tissues. A comprehensive skin treatment with acacia honey, sugar and vitamin solutions that protect your skin from the harsh elements of nature. A very refreshing all-around facial. Our Anti-Wrinkle Treatment helps to prevent the sagging of your skin, smooth out wrinkles, eliminate blemishes and restore skin tone and firmness. It's the facial that helps turn back the clock. Our body treatments, like our facials, features the world's most important brands. For the a body treatment that will leave you soothed, calmed and restored, we recommend relaxation with the Scheherazade and a VIP Turkish Bath session. A high technology treatment applied with thermal touches and micro rotations: Insulin Cellulite Firming and Refining Treatment reduces the cellulite around hips and thighs. Aqua-Termy Seaweed Massage incorporates seaweed fresh from the Mediterranean. It is especially effective in encouraging weight loss and in the relief of fatigue. A treatment designed to bring increased definition to hips and thighs. The Refining Treatment is an ideal method to help rid problem areas of excessive fats. This comprehensive treatment is applied with sea salts and seaweed prior to wrapping the body in a thermal blanket. Designed to help the body rapidly release internal toxins, the treatment also exfoliates, leaving the skin glowing with health. A SPA Suite is where every comforting detail is thought out, where the tranquility knows no boundaries, and where rejuvenation is the only objective. Book a SPA suite. Then see yourself emerge as a new person. For those who enjoy the open air, a SPA session may be booked in our Spa Pavilion. You'll feel the sea breeze on your skin, breathe the fragrant air. It's a spa treatment where nature and healing combine for ultimate healing.